"On ordinary give-and-take roads, it is all that anyone needs"
They were initially powered by 6-cylinder Knight sleeve-valve engines. But after thousands of miles of wear and because of the lack of available spare parts, they were eventually replaced just after the end of the Second World War by Bedford engines that were easier to maintain. 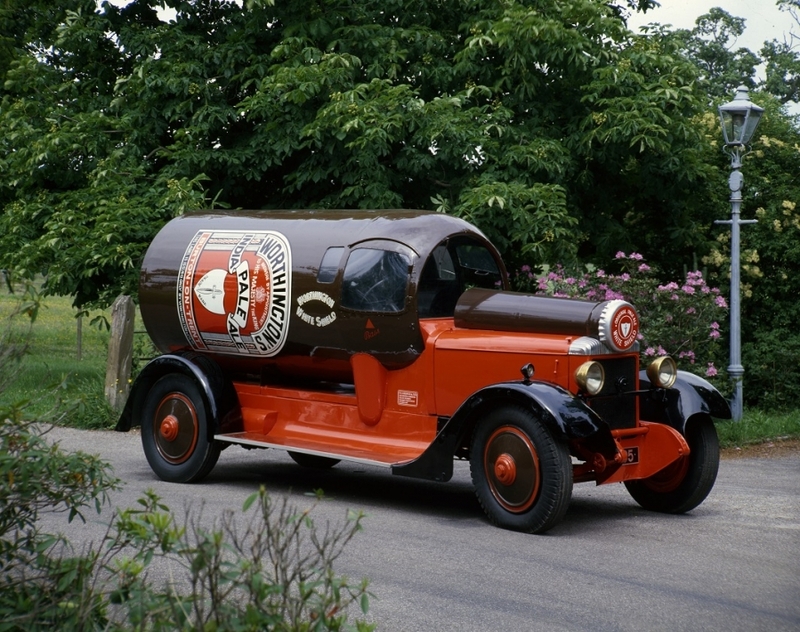 Daimler's Bottle Cars continued to promote the Bass-Worthington Brewery until 1958. Manufacturer: Daimler Company Limited, Coventry Collection, Montagu – National Motor Museum (Donated by Bass, Ratcliff & Gretton Limited in 1958).